These were my favs for the month. 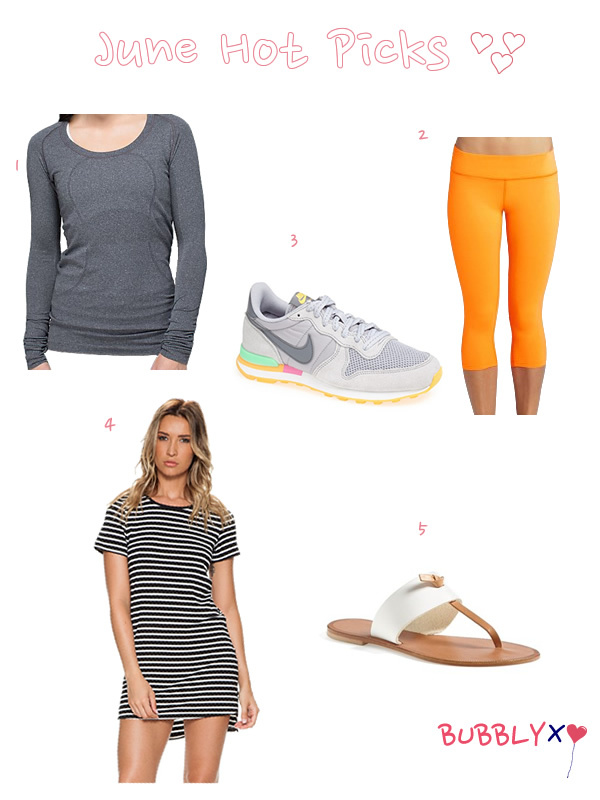 Obvi gotta have a collection of bright workout wear for summer, right? I just loved that striped dress so much that i ordered it. This entry was posted in Fashion and tagged beyond yoga, joie, lululemon, Nike, swell, Workout wear on 06/30/2014 by carag.